How can it have been only 2 and a half weeks since we got the goslings? They’ve become part of the landscape for us. We’ve listened to them whistling in the greenhouse at night, heard them squalling in the morning. The birds have been getting bigger, especially taller, but their wings look like they have stayed the same size. We moved them to bigger, but still temporary, digs today. You can see the new fluff on their backs. They started molting last week. The neighbors came by to greet them. It’s a friendly neighborhood. *sigh* They aren’t very pretty right now. I can’t wait ’til this stage is done. This shall pass. 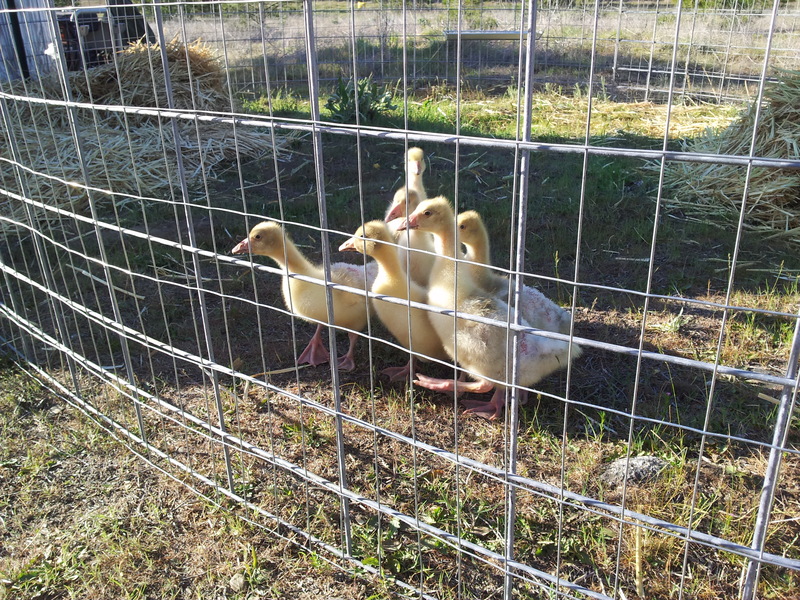 This entry was posted in Livestock, Poultry and Creatures Tame and Wild and tagged geese, goose, goslings, molt by admin. Bookmark the permalink.